Here in this article we are going to share information related to the IOCL Careers making opportunity for all Indian candidates. 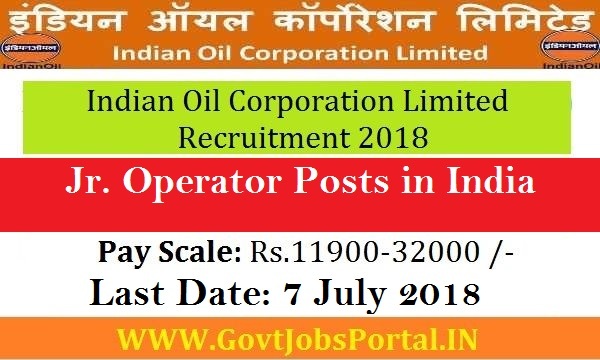 IOCL Recruitment department on 16th June 2018 issued a notification related to the IOCL vacancy notification 2018. In the official PDF file Indian oil said that they are looking to fill up 50 vacant positions through this IOCL Recruitment process 2018. These Government job vacancies will be filled up in the following state and UT of India: “Andaman & Nicobar, Arunachal Pradesh, Assam, Bihar, Jharkhand, Manipur, Meghalaya, Odisha, Tripura and West Bengal”. All Indian candidates are eligible to apply for this Indian Oil careers making opportunity 2018. 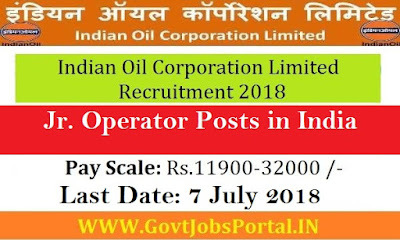 More information related to this IOCL Recruitment 2018 is given below in this post. Read the complete post carefully before applying. We took all this information from the official PDF file and explained it here below in an easy manner so that student can easily understand about this IOCL Recruitment process. What are the Eligibility Criteria for applying this IOCL Recruitment 2018? Education: All Indian candidates who have passed in their 12th class examination form a well recognized education board of India. Candidates must have a Heavy Vehicle driving license for applying these IOCL Jobs. Age Bond: Candidates have age in between following age group 18-26 years can apply for this IOCL Recruitment 2018. What is the Application Fee for applying this Indian Oil Recruitment process 2018? General and OBC candidates have to pay Rs.150 for applying these Government jobs. All other Categories candidates need not to pay anything for applying these Government jobs in India 2018. Candidates can pay the application fee through the Payment Gateway / NEFT. What is the process for applying this IOCL Careers making opportunity? Those who satisfied all above eligibility criteria and other conditions related to this recruitment process can apply for this Indian Oil recruitment process. The procedure through which candidates can apply is the ONLINE process. Applicants have to follow the IOCL official website for online application form and other detail. Below under IMPORTANT LINK section we share all reference links related to this IOCL Recruitment 2018. The process for applying this IOCL Careers making opportunity will be activated on 16th of June 2018 and will expire on 7th July 2018. So candidates have to apply between these dates. 16th June 2018 is the Starting Date to apply. 7th July 2018 is the Last Date to apply online.